1Mumbai, the city where dreams are made and fulfilled! 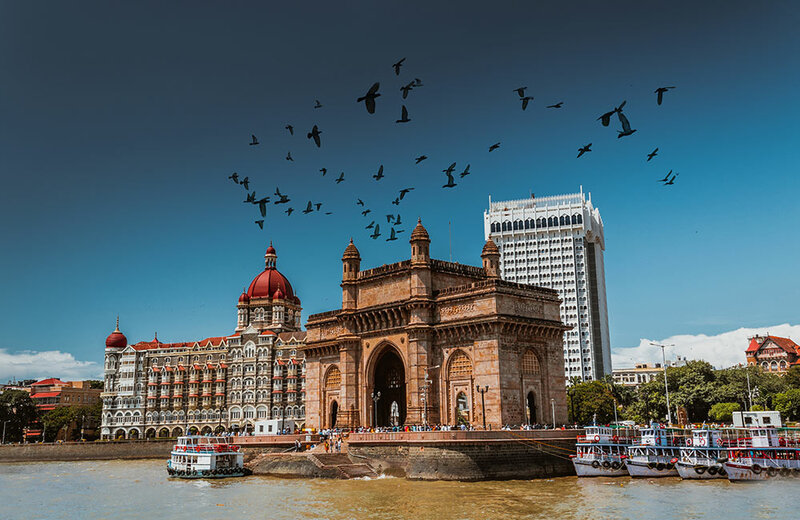 From jam-packed railway platforms to the famous Dabbawalas, multi-millionaires to suburban slums, the dazzling Bollywood to the quintessential vada pav, bhel puri, and sev puri, the uniqueness of Mumbai is beyond words. If you are planning a trip to Mumbai, make sure you visit the right places to imbibe the dynamic effervescence of this city. 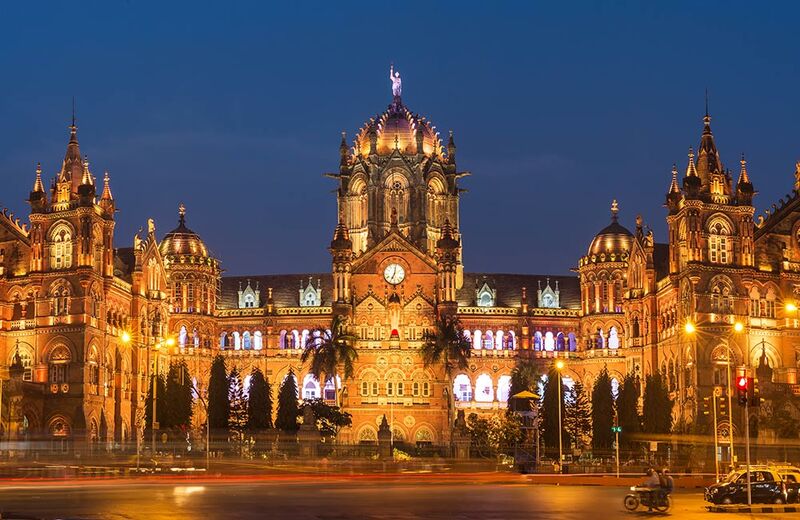 To help you with that, we have listed down some of the amazing places in Aamchi Mumbai, which will make you fall in love with this extravagant city over and over again. Are you visiting Mumbai with your parents, spouse, and kids? The city has a long list of places where families can have fun and create indelible memories. Here are some of the best places to visit in Mumbai with family. Gateway of India was built in 1924 by George Willet to honor the visit of King George V and Queen Mary to Mumbai. Visit this place in the early morning or late evening hours to enjoy the cool breeze of the sea with your family sans the crowd. Located next to the iconic Taj Mahal Palace and facing the vast Arabian Sea, the Gateway of India leaves you spellbound in every way possible. Take a ferry ride offered here to experience a stupendous view of this monument right from the sea and you can also visit other main attractions nearby. And the best part? You don’t have to spend a penny to enjoy the beauty of this iconic monument which is often called the Taj Mahal of Mumbai. And the city has many such places that you can enjoy free of cost. Check out our blog on the best things to do in Mumbai for free for some great ideas. Sprawling over an area of 104 sq. km. of land, this is one of the most visited national parks in Asia. With all sorts of fun activities, this park can surely be a family entertainer. You can watch the big cats of the park close enough in a safari cage and have a fun day boating in the artificial lake in the park. Take the forest road or stairs and hike towards the Gandhi Tekdi, a memorial built in the memory of Mahatma Gandhi. The toy train, Van Rani, is another popular attraction here, especially among kids. 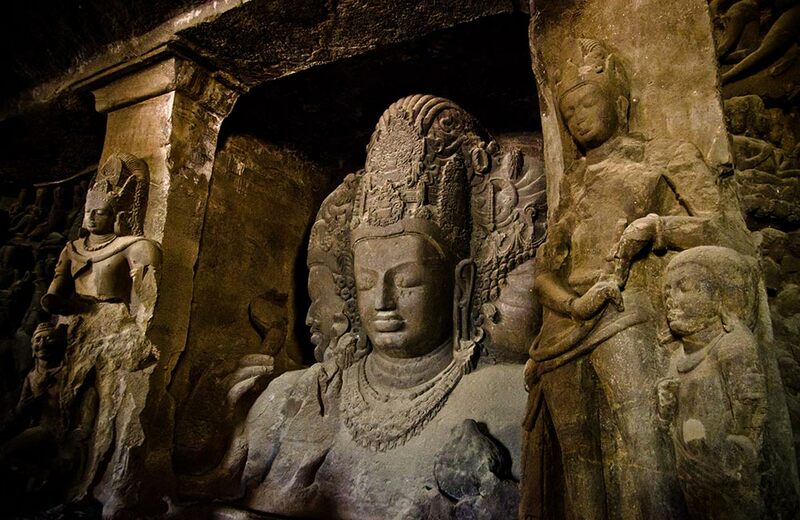 You can also visit the 2000-years-old Kanheri Caves to capture the Buddha relics. 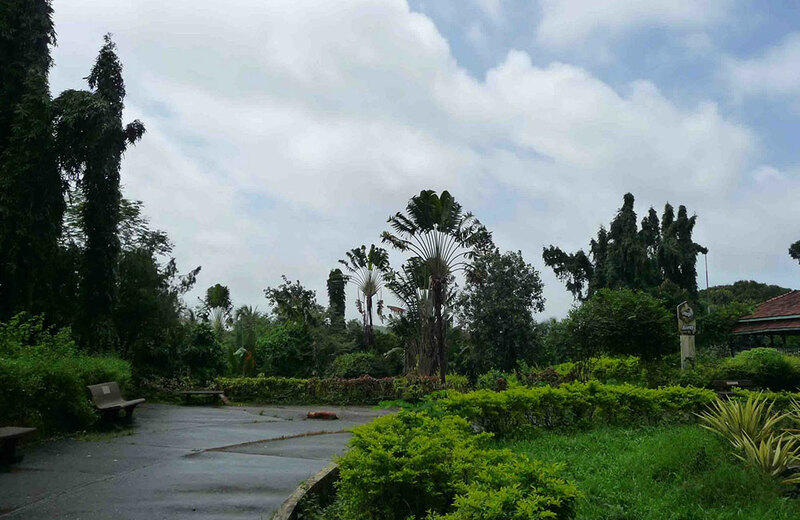 The undisturbed natural trails and the Jain Temple in the forest are also sure to make your visit a memorable one. Ever imagined standing next to Barack Obama, striking a pose with Michael Jackson or taking a selfie with Harry Potter? Yes, you read it right. Come to the city of dreams and fulfill this dream at the Red Carpet Wax Museum. 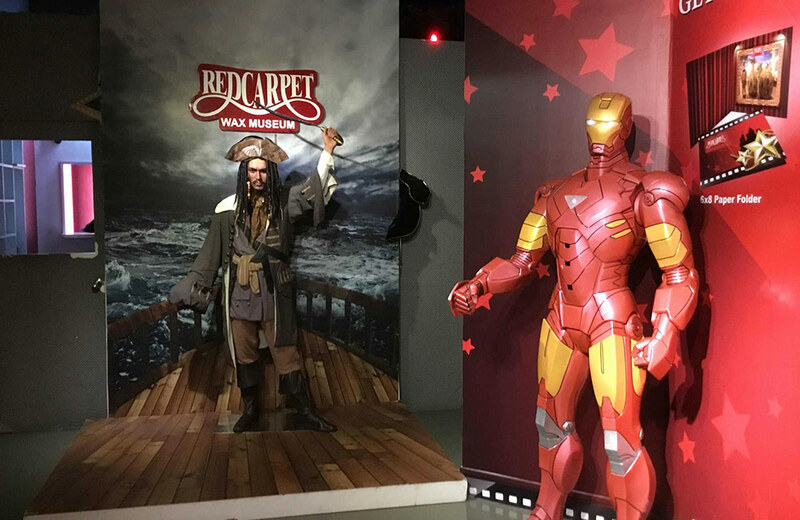 It exhibits lifelike wax figures of prominent icons from various fields including science, politics, sports and world cinema. So, take selfies with your favorite icon, post it on the social media, and make your friends jealous. How about taking a trip with your family to one of the most popular religious shrines in Mumbai, built right in the middle of the Arabian Sea? 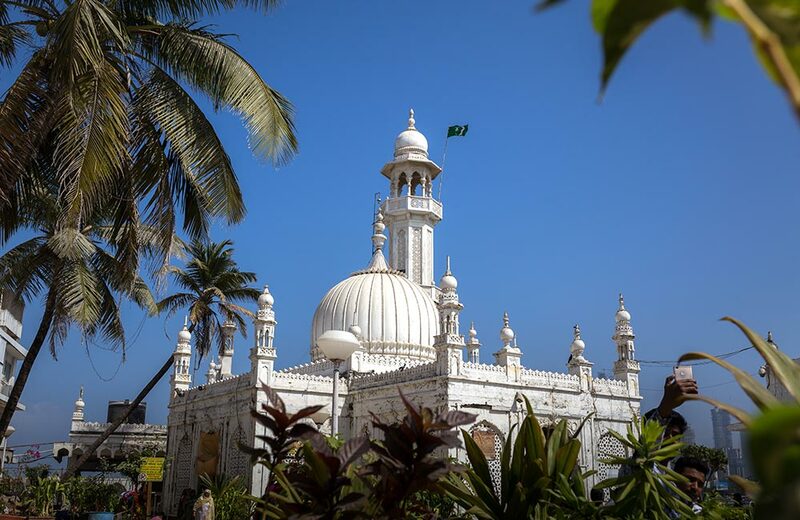 Yes, we are talking about Haji Ali Dargah that houses the tomb of Sayed Peer Haji Ali Shah Bukhari. This grand edifice is made of white marbles and exemplifies the Indo-Islamic style of architecture. A walk through the causeway that connects the Dargah to the Lala Rajput Rai Marg is the main attraction of this place. Feel the spirituality of this place with your dear ones, while enjoying a panoramic view of the deep blue waters! Take a tour to this UNESCO World Heritage Site in Mumbai and get wonderstruck by the massive rock-cut caves that date back to several centuries. It has five caves dedicated to Hindu god Shiva and two caves depicting Buddhist architectures. 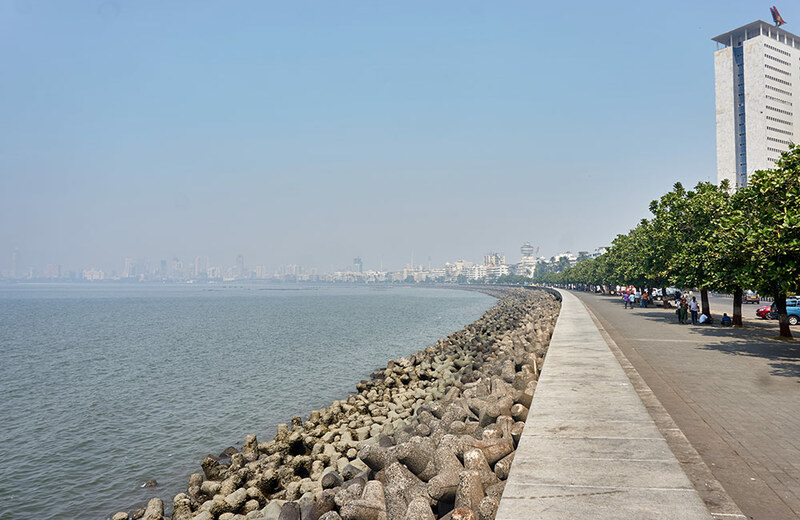 To reach this place, you need to take a one-hour ferry ride from the Gateway of India, during which you can also enjoy the scenic beauty of Mumbai. Those who lack the spirit of a trekker can hop on the toy train that will take you on a tour of the caves right from the entry point. The restaurant and canteen run by MTDC can take care of your hunger pangs. If you are planning a one-day tour to the Elephanta Caves, this blog will give you more details. 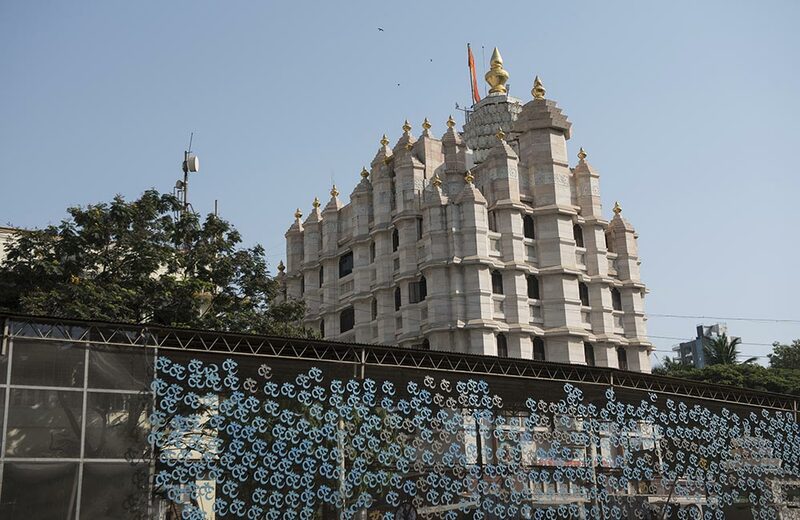 One of the most frequented temples in Mumbai, the Siddhivinayak Temple is dedicated to Lord Ganesh. Devotees from across India including famous personalities from Bollywood and sports throng the temple to seek the blessings of Siddhivinayak Ganapati. The auspicious idol of Lord Ganesha is carved out in a single black stone with the trunk bent towards right making it one-of-its-kind. You can plan a visit to this temple with your family for an enriched spiritual experience. Chatrapathi Shivaji Terminus is another UNESCO World Heritage Site situated right in the heart of Mumbai. Built in the year 1888, during the British colonial period, this edifice exemplifies the Victorian-Gothic style of architecture. While you are here, don’t forget to take a photograph with your family and kids. And guess what, the magnificent CST is the most photographed building in India after Taj Mahal! And once you are done with sightseeing, don’t forget to treat yourself and your dear ones to some lip-smacking food. Whether you are looking for budget restaurants, fine diners or buffet places, Mumbai has it all. Want some great ideas? Read our blog on the top restaurants in Mumbai. One of the most prized gifts you can give your kids is fun-filled memories. And while in Mumbai, this isn’t a tough task at all. Listed below are some of the places to visit in Mumbai with kids, where they can create memories to cherish a lifetime. 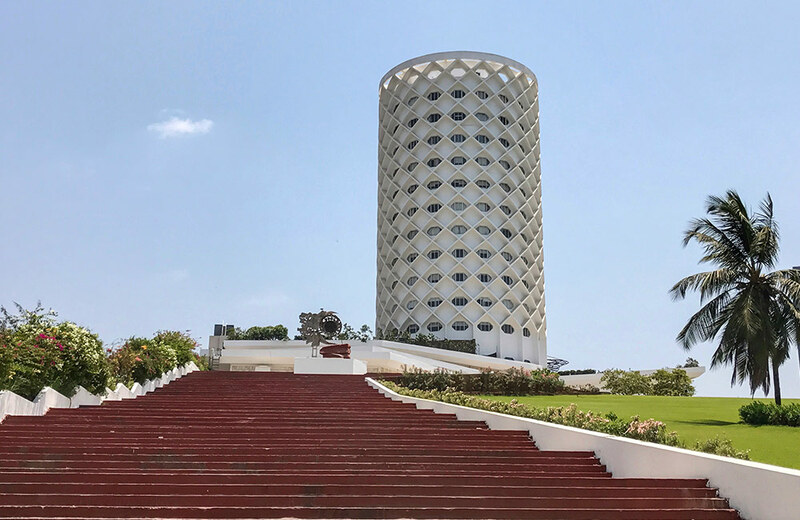 Built in the memory of Pandit Jawaharlal Nehru, this center propagates his teachings and ideas through educational and cultural programs. It consists of a spectacular dome-shaped planetarium that creates curiosity about astronomy and science in young kids. You can stargaze with your little ones at the sky theater for a memorable time together. Make your kids stand at the cubicle that calculates their weight in each of the nine planets of the solar system. Other attractions here, such as the miniature galaxy with Sun at the center, Moon’s surface, a view of Earth from Moon, art gallery, library, etc. will surely get your kids charged up with energy and intuitiveness. 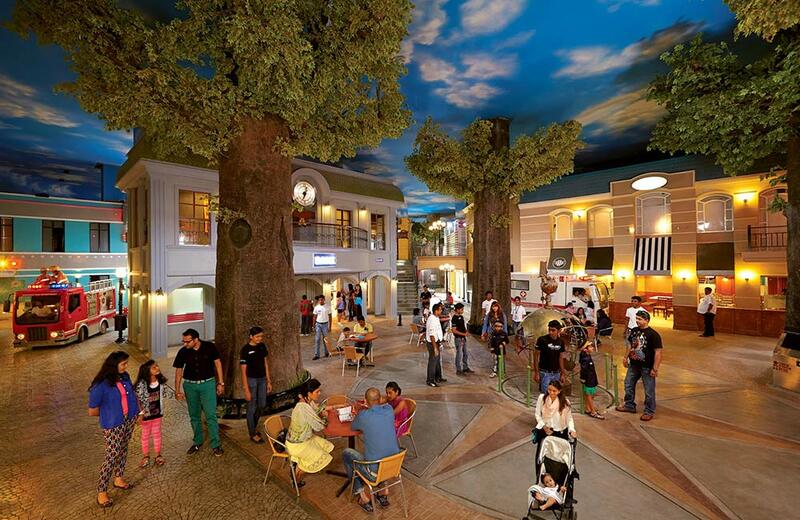 Kidzania is an indoor amusement park made exclusively for kids with a unique concept of role-playing in a real city-like environment. Here, kids are required to perform a ‘job’ as a part of their role-playing. After successful completion of the job, they get paid in the form of kidzos money as an encouragement. You can see them brimming with joy as they make their own money for the first job in their life. Parents can relax at the lounge, from where they can monitor their kids on the TV screen. With such interactive edutainment activities, Kidzania should be your ideal destination for a fun-filled day with your tiny tots. Different packages for kids, adults, and senior citizens, ranging from ₹300 to ₹1500. Check the website for more details. Touted as India’s oldest aquarium, this place houses a variety of marine and freshwater fishes including coral fishes from the Lakshadweep Islands. It also has an Oceanarium that gives you the feel of walking under the sea with exotic fishes floating above you. Well, there is more. Your kids can touch some of the aquatic fishes and animals without harming them at the Touch Pool. You can also enjoy a whale of a time at the fish spa along with your little ones. This aquarium is a perfect blend of education and entertainment, making it an ideal place to visit with kids. Kids love zoos, period! 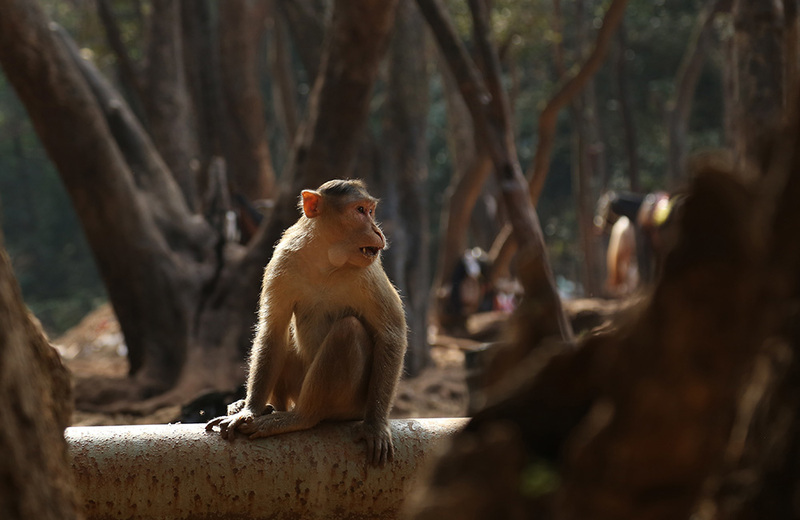 While you are in Mumbai, you can have a great day out with your little ones at Veermata Jijabai Bhosale Zoo that houses many wild animals like elephants, lion, tiger, monkeys, crocodiles, etc. The aviary includes some colorful birds and some rare ones like albino crows and flamingos. Sprawling over an area of 48 acres, one of the prominent attractions of the zoo is its penguin enclosure, which is kept in the perfect environment and temperature. Looking for some indoor activities for your little munchkins on a scorching summer day or on a dull rainy day? Then, Smaash Junior is the right place for them. This is a perfect entertainment zone for your kids to have a frolicsome day. The Tubular Slide, Canon Shooting, Netted Tunnel, Padded Bridge, Spinning Palm Tree, etc. are some of the popular slides and rides among the tots. Also to curb their ravenousness, some finger-licking food and desserts are available at their food court. Mumbai is the city of dreams and by extension, the perfect city for romancing couples. If you are looking for spots where you and your partner can add some spark to your love life, here’s our hand-picked list. Nothing can be more romantic than watching the crimson sun and the luminous orange sky on a breezy beach, with your loved one. 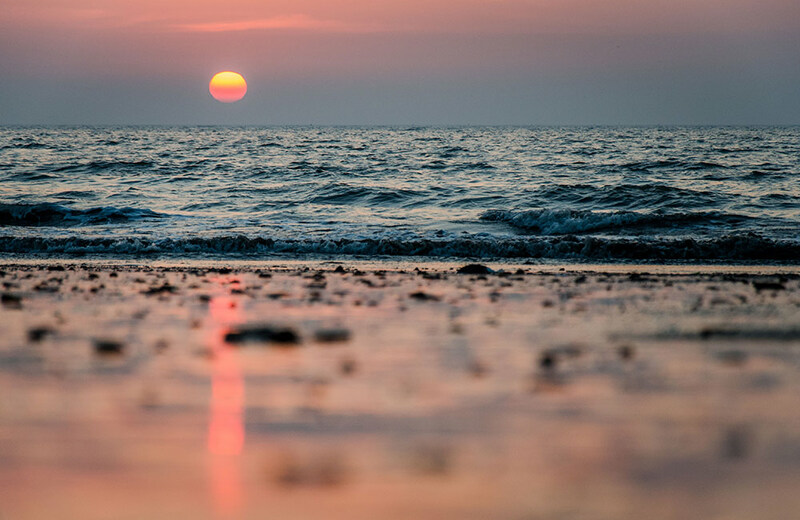 Juhu Beach is one such spectacular place in Mumbai, often visited by couples who need a little romantic escape from the humdrum of city life. You can also plan a romantic date night at one of the amazing beachside restaurants available at Juhu. Walk hand in hand with your lover along the walkway at Marine Drive witnessing the sunset hues reflecting on the vast Arabian Sea. It is an ideal place to relax and spend some romantic moments on a beautiful evening. This is also one of the popular places to visit in Mumbai at night. Don’t forget to satiate your hunger with some delicious street food available here. If you are in search of a peaceful yet serene place to cherish some intimate moments with your partner, Chota Kashmir should be the right spot while you are in Mumbai. It has a beautifully landscaped garden and a placid lake that tranquilizes your body and mind. Recline peacefully on the greens of the garden or go boating in the lake and get lost in love on this little piece of paradise. Either way, you are sure to find a new spark in your love life! 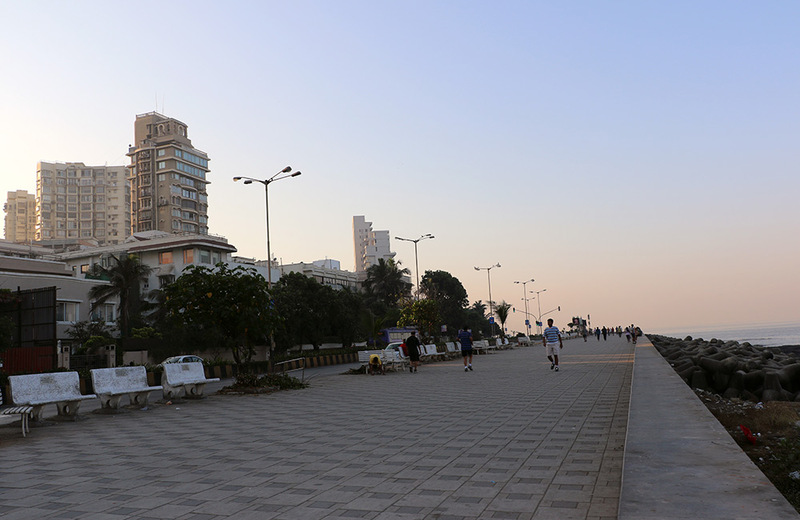 Worli Sea Face, undoubtedly, is one of the favorite hangout spots for couples, where they can walk along the long stretched promenade in the evening or late night hours with a splendid view of the sea in the background. You can sit along the sealine with your lover and feel the water splashing across your face after hitting the rocks below, making the evening more enchanting and memorable. The panoramic view of the Arabian Sea and the cool refreshing breeze make this place a must-go among the couples in Mumbai. Every relationship deserves a break from monotonous daily routines. 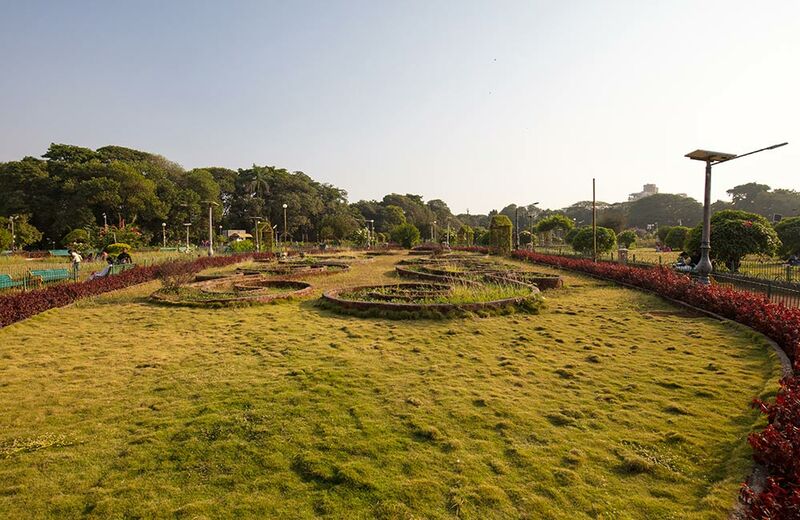 Take your significant other to this amazing Hanging Garden and unwind and slacken yourself amidst the flower beds, spectacular water fountains, and lush green animal shaped hedges. Don’t miss out to take a funny picture with your partner at the giant boot structure here, known as the “Old Women Shoes”. What else can be more romantic than this? Moments spent with friends are moments filled with unlimited fun and joy. The city of Mumbai offers you and your friends many options to indulge in heavy-duty, boundless fun and entertainment. 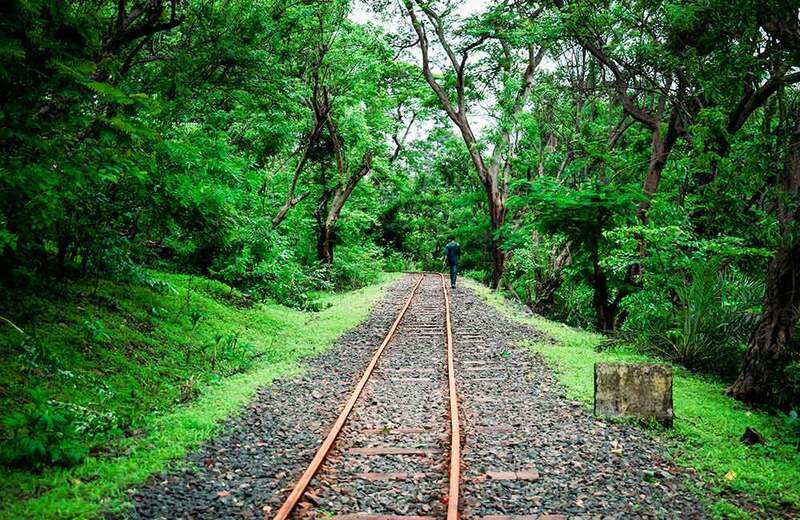 Here’s a list of the best places to visit in Mumbai with friends. Do you have friends who think shopping is the best form of therapy? Then the Collaba Causeway would be a shopping paradise for them forever. With shops after shops piled up with goodies, you are sure to have a great time shopping everything from inexpensive clothes to sophisticated designer wears, home décor items to jewelry, and everything in between. For food fanatics, the place has a lot of restaurants, cafés, and patisseries in its premises. And once you are done with this retail therapy, it’s time to start your gastronomic therapy. Head out to one of the many food streets in the city and experience an explosion of flavors in the form of pav Bhaji, vada pav, pani puri, bhel puri, ragda pattice, kebabs, sandwiches, and more. Here’s your ultimate guide to discovering Mumbai’s best street food. Sprawling over approximately 100,000 sq. 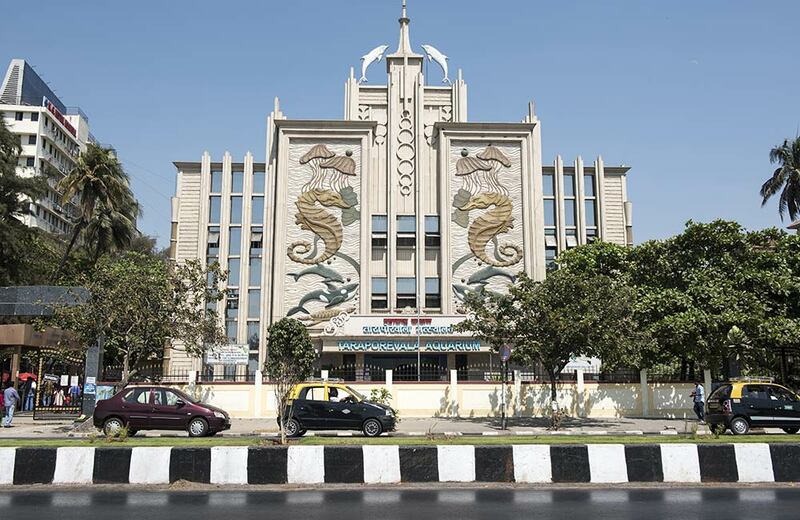 ft. area, the Dadasaheb Phalke Chitranagari also known as Mumbai Film City is a world of wonders where you can see theaters, gardens, lakes, recording rooms, and grounds that are leased out for Bollywood film shootings. 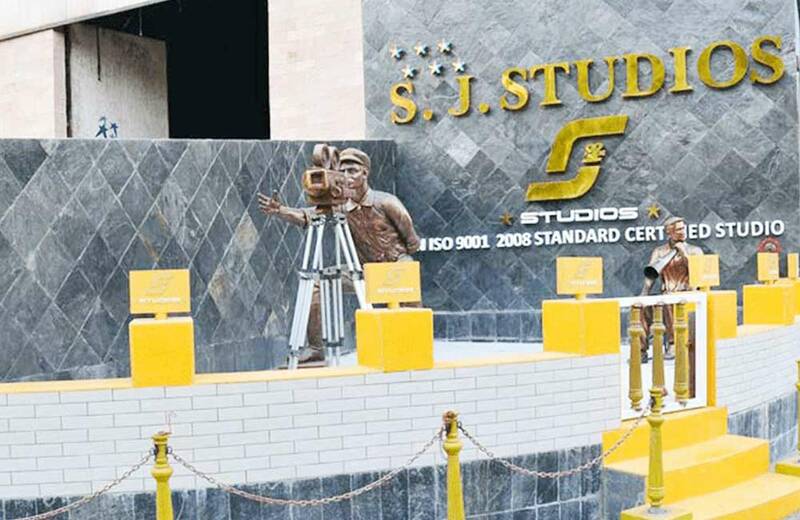 Take a bus tour of the film city with your friends and see the familiar sets of popular sitcoms and movies. If you and your pals are die-hard fans of Bollywood, this film city is something you shouldn’t miss out on. 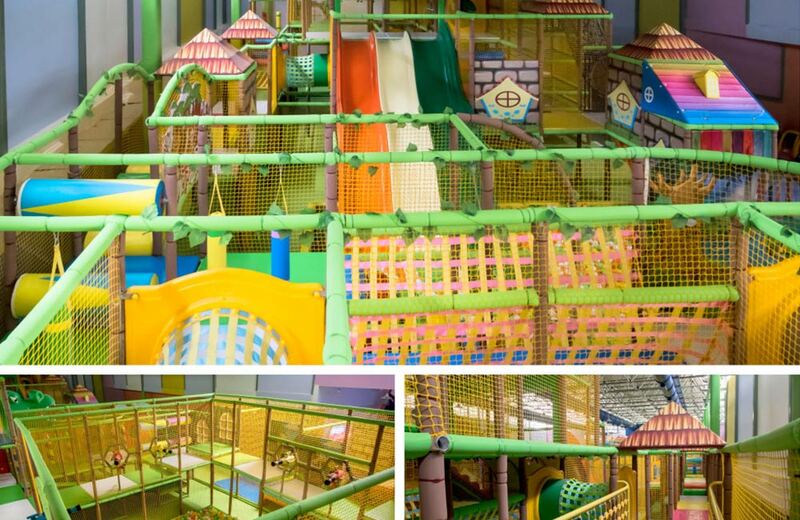 An ideal entertainment center to have a blast with your friends, this place offers the perfect blend of sports, fun, and leisure for people of all ages. 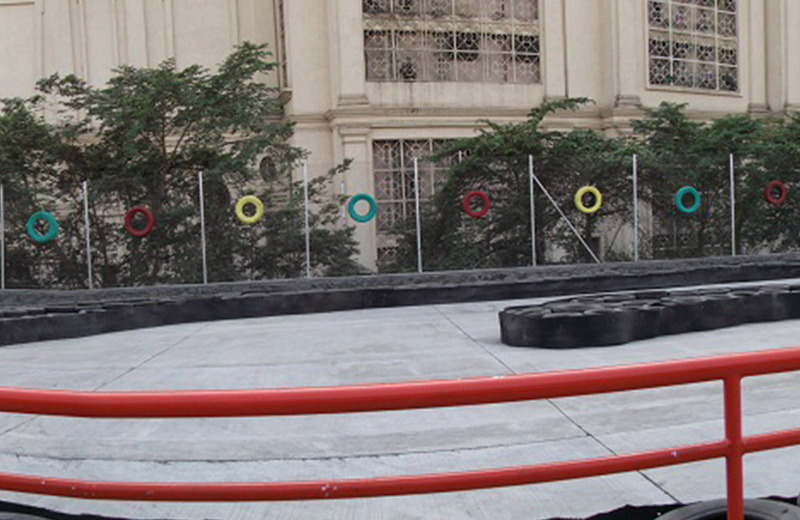 Here you can indulge in Go-Karting on the 200-meter track with karts of Honda engines of 5.5HP. This power-packed entertainment center also offers simulators, redemption machines, billiards, and a LAN Gaming zone. Some of the other popular activities here are the Bull Ride, Air Gun Shooting, and Bumper Cars. Or how about competing with your friends at the Paintball game in a real, simulated field? 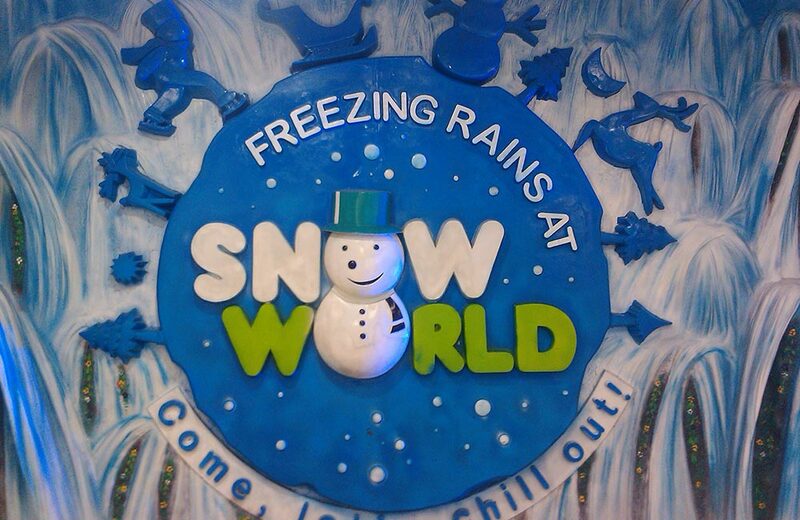 Now, you can experience -10° C temperature in Mumbai with some frolicsome activities at Snow world, another great place to have serious fun with your friends. Feel the natural snowfall, slide through the ice in a rubber tube, play snowball wars with your buddies, run down the ice slope screaming with joy, go ice skating and learn some snowboarding while you are in this really ‘coool’ place. Enthralling right? Besides this, Mumbai has a fine range of amusement parks where you can have a fun-filled day with your family and friends. From Essel World and Yazoo Park to Hakone and Vardhman Fantasy, your options are plenty while you are here. Know about the best 8 amusement parks in Mumbai for more details. For those who love some heavy-duty aquatic fun can also visit one of these 10 best waterparks in Mumbai where fun and frolic never end. Looking for some unique yet interesting games to play with your friends? Indulge yourselves in this 60-minutes ‘Room Escape’ game challenge, where you and your friends are locked in a game room. Spooky? Wait, there is more. Using some hidden clues and keys, you should solve the puzzles and escape out of a 250 sq.ft mysterious room. 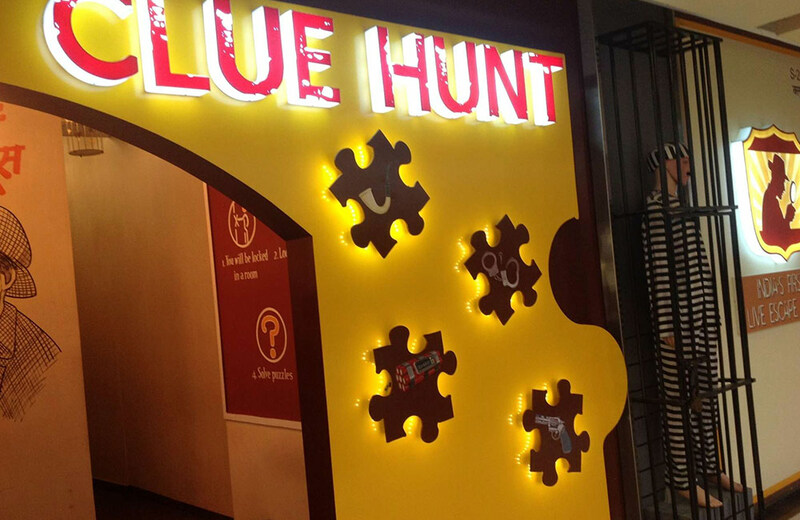 So, go ahead and play this dynamic and mindboggling game at the Clue Hunt Mumbai. Whether it is a bunch of crazy friends, a loving family or a cute couple, Mumbai has no dearth of places to escape the daily grind of life. 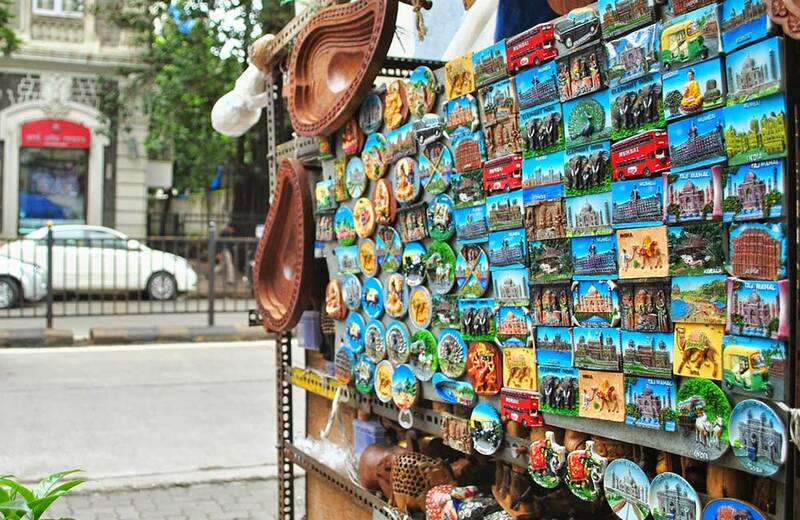 You can explore the city at your own pace or hop onto the MTDC Mumbai Darshan tour bus, which takes you to prominent places to visit Mumbai in one day. As Salman Rushdie had rightly said, “You can take the boy out of Bombay. You can’t take Bombay out of the boy, you know”. So, go ahead, check in at one of the best budget hotels in Mumbai, and get yourself soaked in the magic of this city.